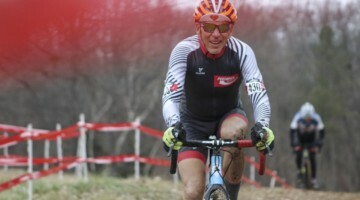 Cyclocross Magazine columnist and Masters racer Lee Waldman has been using a coach, getting focused and learning to enjoy his racing. In case you missed it, go back and check out Lee’s previous column as he interviews his wife about being married to a racer. At 60 years of age, I know that I train harder than I did at 35. Harder may not be the right word – age does matter – smarter might be more accurate. Hard days are much harder and my easy days are much easier. I’ve learned the value of rest. What’s changed, you ask? I have a coach now. Yep, for the first time in 30 years of racing, I’m paying to be tortured rather than torturing myself indiscriminately. I hooked up with Ben Turner of Cycle-Smart. What a difference! If you’re on the fence like I was, believe me, coaching is worth the investment. I’ve worked harder with more focus than ever before. There are days when it’s a major effort to simply walk into Starbuck’s. Who do I have to blame for that beside myself? Ben. For much of those 30 years, I’ve either trained too hard or not hard enough. I know that I missed opportunities to improve, not because of lack of desire – I have that in spades – it was ignorance, plain and simple. I was trying to fit my body and my mentality into someone else’s picture of an effective training program. Having a coach eliminates the guesswork. I’ve read the books, followed the fitness blogs and sought out the next best thing, the training regimen that would move me to the front and keep me there. Finally, I realized that there is no silver bullet, no “right way” to train. It ‘s dedication, focus and hard, hard work. A burning question lingered though: What kind of work should I be doing? That’s where the beauty of having a coach comes in. Gone is the brain damage of deciding how and when to train; Ben does that for me. It feels as if it’s working. 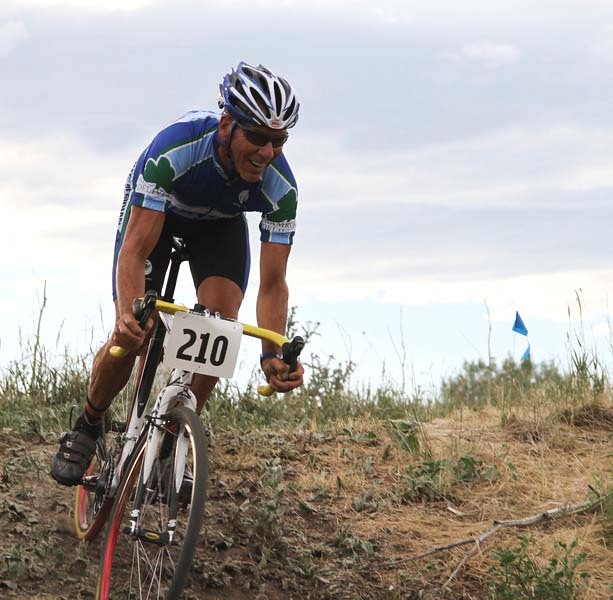 This summer I’ve played with short track mountain bike racing and some endurance-type events with good results. I’ve found that my race “efforts” are much easier than they were when I was planning my own training. Don’t think Ben’s letting me off easy – there are those days I’ve come to dread. “Surge” workouts are the worst. 15 minute intense efforts – 15 seconds out of the saddle then 45 to hold it and then right into the next one. After two sets I understand what it feels like to be totally shattered. After my first surge workout I couldn’t form complete thoughts for the rest of the day. 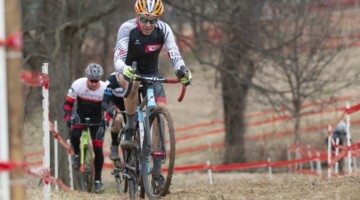 But I know for certain that those are the efforts I’ll need to be able to make in every ’cross race I ride this year. So, no matter how much I dread them, I look forward to them as well. It’s all about how you frame things, isn’t it? I can climb onto the bike full of trepidation, knowing I’m going to hurt for the next two hours (and I will), or I can change my perspective and anticipate the positive results. It will still hurt, but by embracing it I get more out of it. That, to paraphrase Robert Frost, makes all the difference. As important as the coaching is though, I don’t want to ever forget why I ride my bike. The older I get, the more able I am to bring some balance to all of my life, including my life as a competitor. 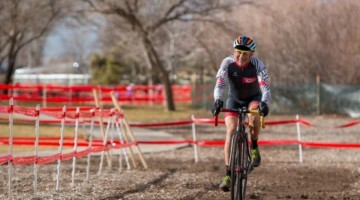 I recently had an opportunity to interview Jake Wells, an up and coming cyclocrosser from Avon, Colorado [Look for that article coming soon in Issue 10 of our print mag]. There were a lot of things Wells said that resonated with me, one in particular. 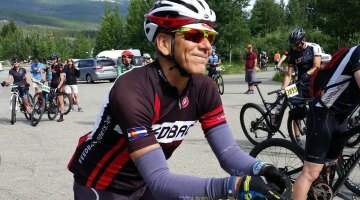 What, I asked, should an aspiring endurance mountain bike racer do to get better? Pick the races that are fun, he said. The ones that you get excited about riding, not the ones that you think you have to ride. Whoa, I thought, this guy really gets it. Do it because you love it. Do it for yourself, not for anyone else and not for any other reason than that it makes you feel good. Now in mid-July when Ben is starting to ramp up my training for the fall, that’s a perfect message for me. It doesn’t mean that I shouldn’t train hard and take care of all of the other aspects of racing: rest, nutrition, mental health. It means that I need to remember why, at 60, I’m doing it. It reminds me to bring some perspective to my life as a bike racer. I’m never going to make a living racing ’cross. No one wants me on their Elite team. I’ve come to grips with the fact that I don’t have the genetic makeup to be world class, but I will race to the best of my ability because it makes me proud of myself, brings some pleasure to the people who watch me and inspires some of the younger guys with whom I race to keep going. Because if I can do it, if I can make them hurt, then there’s no reason for them to give up just yet. Now if I were you, I’d go ride! GREAT article, Lee! Like you were, I'm still on-the-fence about hiring a coach, but the part about racing because it's fun really hits home! Keep up the great work, and know that YOU ARE an inspiration to lots of us. Great article, but it drives home the reality for those who cannot afford a coach, or even a gym membership; and for those who can barely scrape together the entry fees for a local race or who use up needed race energy by having to volunteer in exchange for race fees. I appreciate Lee's perspective but I would also like to hear from racers who HAVE to do everything alone, without help or a clue, because that's what they've got to work with. Thanks for your comment. I want you to know that I was one of those "do it yourself" riders for almost 30 years. This year has been the first time I've taken the leap to have a coach. I had a great friend who was my cross mentor for years and I still rely on him for advice. So my advice to you – find someone who you like, trust and feel comfortable with. Ride with them, copy them, pick their brains. Good luck. 1. Used a small portion of my employer's healthcare stipend to pay for a bare-bones membership at The Cheapest Gym In Town, where I can do weight work and also take yoga classes with my [non-cycling] sweetie. 2. Accepted an invite to join a local team for 2011. Having teammates in town makes a HUGE difference by having folks close by to learn from and emulate (even if they're mostly 20 years younger than me!). 3. Wrote down specific cycling goals and shared them with my partner and a few close friends. Now, on a day when I lack motivation or focus, one or more of that trusted crew reminds me of what my goals are, and that little psychic hit-over-the-head is invaluable. I'm really glad to hear from you again. I love that you're being proactive in your pursuit of results for next season. Riding with a teammate will really help you. I have two guys who I train cross with regularly and I definitely notice the difference. If nothing else, it forces me to concentrate on technique. Ignore the age difference, I do. Do you mind if I borrow your idea of writing goals down as a motivator as one of my topics for upcoming columns?